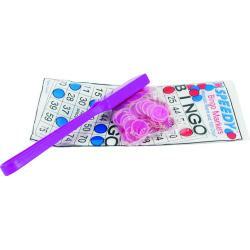 Main Category: Wholesale Bingo & Gaming | Type: Kit | Hayes Specialties Corp. 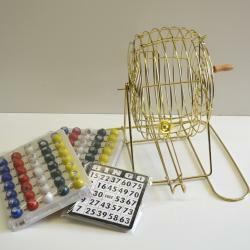 This brass coated bingo cage is the perfect size for small to medium bingo events. 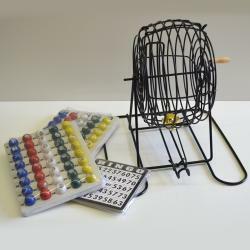 It features a nicely finished wooden base, a cage measuring 19cm wide with a diameter of 29cm, and the entire set stands approximately 41cm tall. 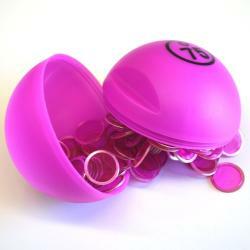 It will fit comfortably in most rooms or halls. 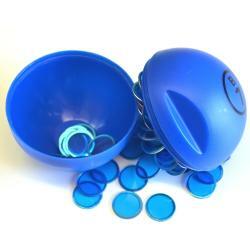 The set also includes 38mm balls with easy to read numbers and a masterboard. 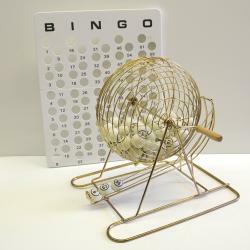 This brass coated bingo cage is the perfect size for small to medium bingo events. 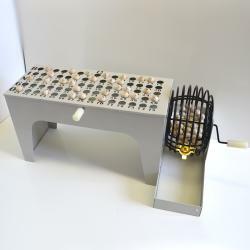 It features a cage measuring 19cm wide and the entire set stands approximately 41cm tall, with a cage diameter of 29cm, it will fit comfortably in most rooms or halls. 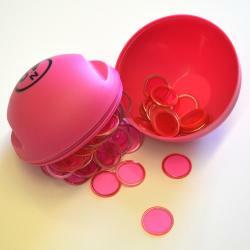 The set also includes 38mm balls with easy to read numbers and a masterboard. 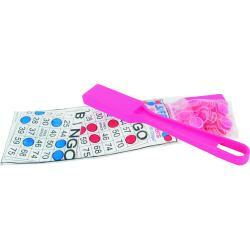 This kit comes with all that you need to call a great game of bingo. 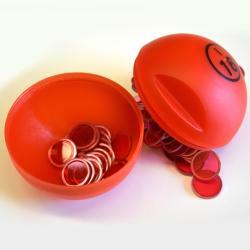 It features a 15&rdquo Bingo Cage that has a red plastic coating that makes for quieter balls when turning and rubber feet. 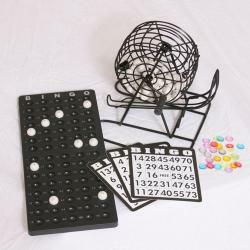 A one piece master-board that measures approximately 18.5&rdquo x 17&rdquo, bright colored bingo balls with crisp, clear, black ink that are easy to read and are made of durable plastic, and 10 shutter cards. 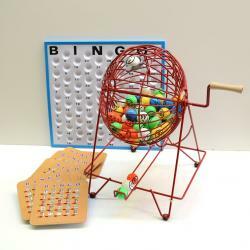 This Speedy Automatic Bingo Machine will make calling a bingo easy and enjoyable. Measuring approximately 2&rsquo3&rdquoL x 1&rsquo4.5&rdquoW x 1&rsquo2&rdquoH. 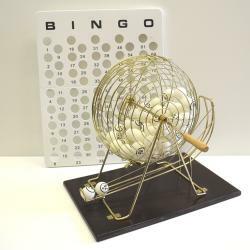 It features small wooden balls, with crisp, clear, black writing that return to the cage with the push of a lever at the end of a game. The bottom of the metal master board and chute are both lightly padded in foam to keep the noise level down. 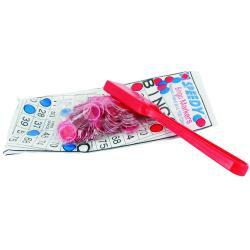 The set also comes with 10 cardboard bingo cards.